It’s that time of the year again when parents get a bit of time off work and kids get excited about not going to school for a few days. Easter break is here and for those parents who didn’t get to spend time with their kids during March school holidays because of work, now is a good time to travel with them and have some interesting adventures as a family. We all love our kids, there’s no question about it, but the little ones can be a handful, especially when sitting in small spaces for longer periods of time. Their excitement slowly fades into petulance because it’s taking a while to get to the destination. 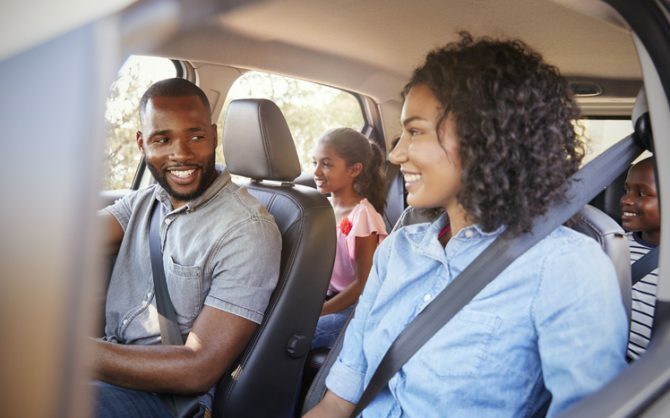 You don’t want them screaming and asking if you are there yet every half an hour or getting irritable because mom and dad are concentrating on the road and not giving them attention. It’s best to keep them busy, that way you can focus on the road and they won’t be creating havoc in the back. Easier said than done, I know, but it can be done. The one thing I always make sure of before we all get in the car to travel is that the car is properly organised. I’m talking having what we all need in order and within reach. I learned this from my father. For him this was a very important task when we used to travel to Ga-Mashashane in Limpopo from home in Rustenburg, a five-hour drive. He would wake up early, pack all our bags and what we would need on the road in the car. He was precise about where he put everything so we could have a comfortable road trip in his bakkie while he focused on the road. I never understood what the fuss was about, but as a parent now I do. So for my two girls and husband, I always use backseat organisers because we don’t have a bakkie with lots of space. 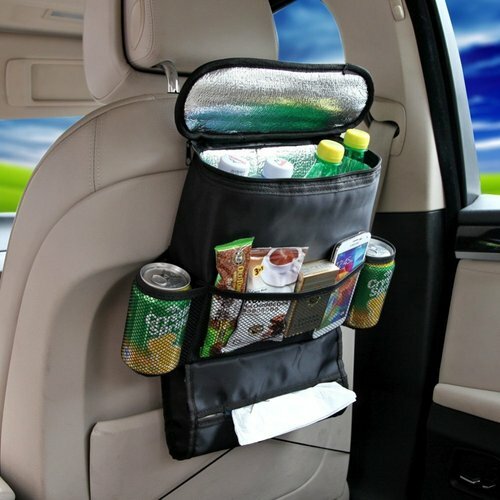 I ordered these online and they are perfect to keep order in the car because I have a neatness freak for a husband. Not complaining though. But they don’t keep the kids busy, so to capture their attention and keep them quiet on the road, I print out a few drawings of their favourite cartoon characters and get them to colour them in. If you have kids, you do appreciate a bit of silence while on the road and these do the trick. However, they can only concentrate on colouring for so long before they get bored with choosing colours. I keep an assortment of toys and games in the car and this has worked well as a distraction. Other than that I play some of their favourite music and they sing their hearts out. But you can only take this “lovely noise” for a few minutes before you feel a minor migraine coming on. Then it’s time to give the older one a tablet to play a few of her favourite games and concentrate on getting the best score. She is such a perfectionist and continuously tries to master every game she plays, so this keeps her silent for perhaps an hour or more. Lovely as it to have the kids silent for a while, it is also important to use a road trip as a time to have fun and engage with them, so a spotting game can be entertaining. The idea is to look for a certain colour of cars, or drivers wearing sunglasses or motorcycles. Kids are very competitive, so they will love this. I always try to avoid feeding my little girls junk food and I keep this up when travelling. Hence I prepare their favourite eats, something that doesn’t necessarily need warming up, and store these in a cooler for us to eat on the road. My family loves sandwiches and popcorn for snacks, so we take these on the road. It saves money and time because this way we don’t have to stop and order food at a restaurant. For the youngest one I have a diaper changing station where I keep all the nappies, wipes and a plastic bag for dirty diapers at the back of the car. This is a must-have, I kid you not. And while a first aid kit is something people don’t usually take along when travelling, it’s necessary when travelling with children. Mishaps happen, so it’s better to be prepared. You don’t necessarily have to buy one. Just throw in plasters in a range of sizes, safety pins, alcohol-free cleansing wipes, disposable sterile gloves, sticky tape, scissors, antiseptic cream, cough medicine, skin rash cream, painkillers and a thermometer. As fun as it is to travel with your children, road trips should not be taken lightly. It is imperative to be prepared so the kids have all they need and the parents get less frustrated.